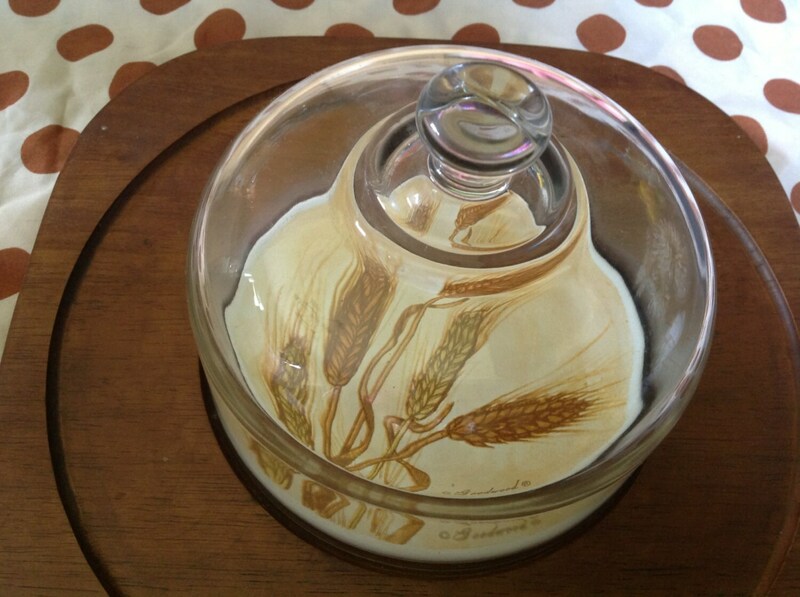 Offered is a vintage cheese tray. 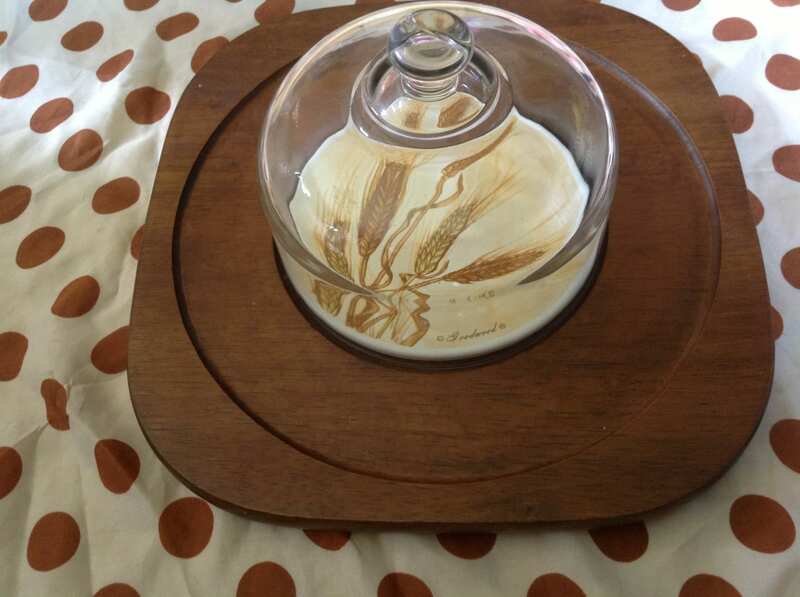 Made by Goodwood, it features a teak tray with a glass dome. 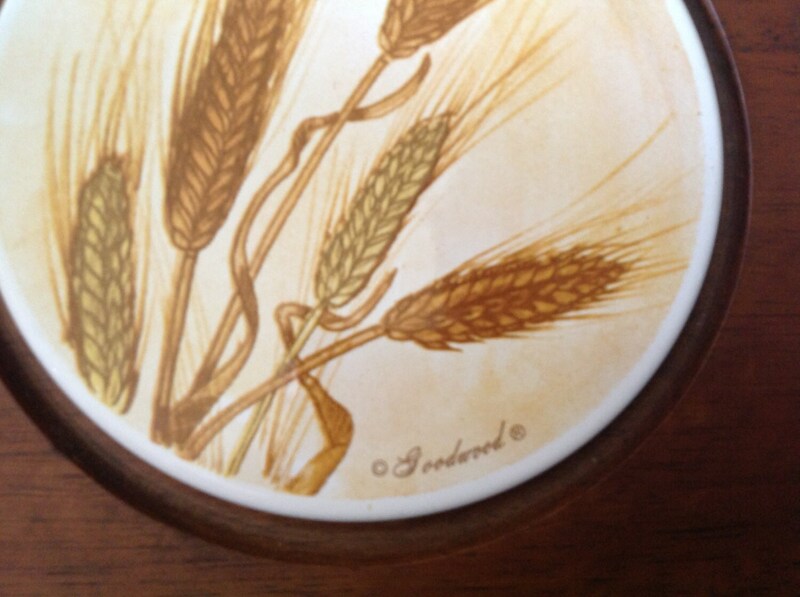 The cutting surface displays a wheat motif in oranges, gold, and brown. 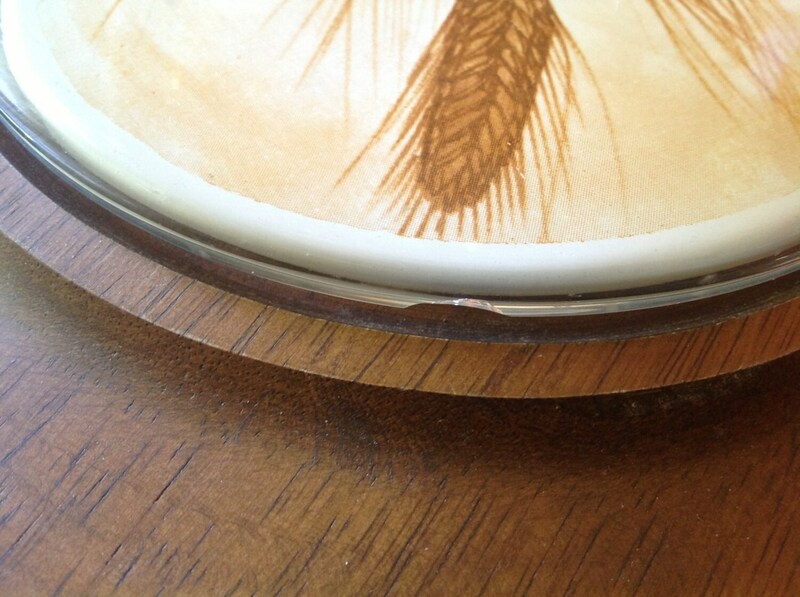 It includes the Goodwood signature. 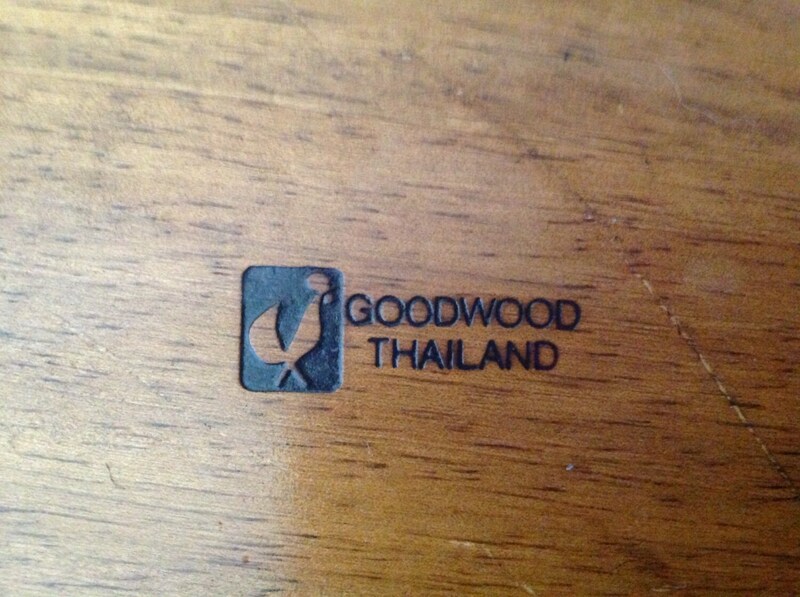 The back is marked "Goodwood Thailand" with manufacturer's logo.